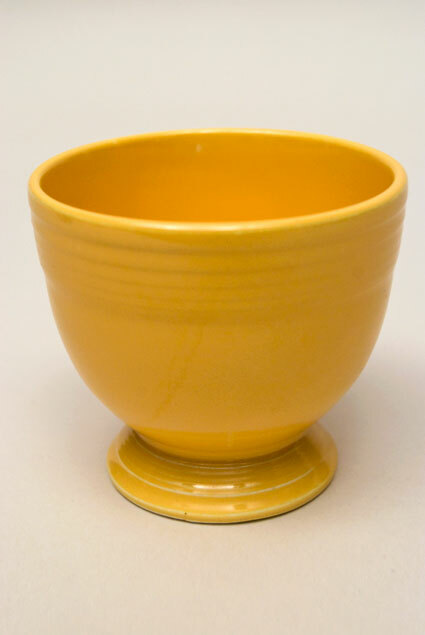 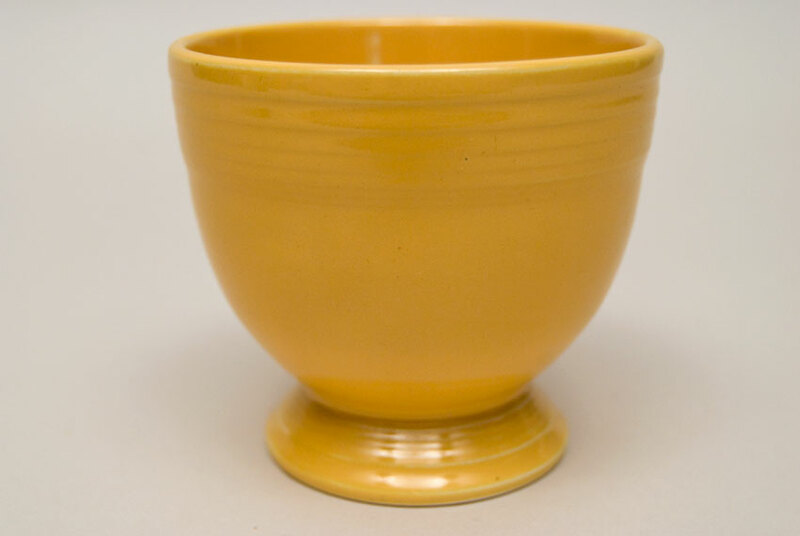 Circa 1937-1959: Here is a Vintage Fiesta original yellow egg cup in spectacular collector quality condition, with wonderful glaze and no use. 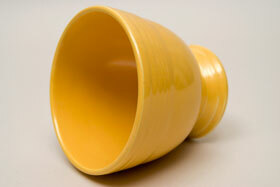 The piece would have been slip cast and the outside rings would have been jiggered by hand. More handwork would involve shaping the foot on what is most like a woodworkers lather, rings would have then been jiggered around the base by hand - thus resulting in a wide variety of shapes and ring patterns in the Fiesta egg cups foot. 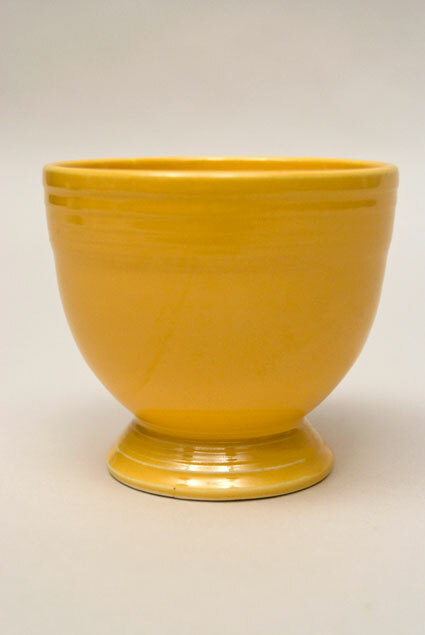 Some will flare out much more than others or become thinner from extra shaping, most will be marked in the mold, although occasionally they will show up unmarked. 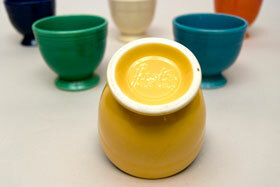 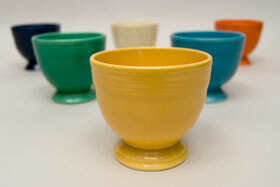 Larger than most egg cups, the Fiesta version stands 3 1/8" tall and 3 3/8" wide.